This is fairly self-explanatory. A few years ago (2008 to be precise) I started a thesis and didn’t finish it. One day I will get back into it. In the meantime. Here are some excerpts for fellow unqualified (academically-speaking) psephologists to read and possibly enjoy. Feedback is welcome. Please remember, this was written a few years ago. I will endeavour in coming months/years to update parts and add newer articles and references to literature which has been published since 2008, including events and seminars I have attended more recently. Using recent Australian campaigns (such as the 2007 Australian Federal election and 2007 NSW State election) the research will compare Australian and American political campaigning techniques and assess the application and relevance of common American campaign techniques and published American campaign manuals in modern Australian politics. A quick review of recent Australian research on political campaign techniques, as well as popular literature, reveals no published political campaigning texts or ‘manuals’. There are numerous papers and books on different aspects of campaigning, such as books on media advice and numerous political biographies, as well as accounts of recent election campaigns, but no authoritative texts or manuals that look at Australian political campaigning as a whole, detailing all the aspects of campaigning from the foundations (like strategy, message and finance) to the work that goes on in the trenches as candidates and their teams fight for each individual vote. The two closest texts that can be used as examples of public “campaign handbooks” in Australia are Mills’ ‘The new machine men: polls and persuasion in Australian politics’ and Stockwell’s ‘Political Campaign Strategy – Doing Democracy in the 21st Century’. This apparent disparity in publicly available instructional literature, in comparison to the United States could be due to a number of reasons including differences in historical, political and cultural norms, voting systems, the relative sizes of the political institutions and professional class, as well as financial regulations and wealth. The purpose of this thesis is to produce scholarly research on campaigning techniques in modern Australian politics. This will take the form of at least one refereed journal article to be published, hopefully early next year. The first steps in the literature review will be to outline why this topic is important and the research questions that will be addressed in the thesis. From an academic perspective there is very little research which defines effective political campaign techniques in an Australian context. Australian political scientists have not received the acknowledgement and prominence in professional political circles that their counterparts in the US and UK have and this research will help build a new dialogue between the two groups. It is hoped this research will reveal reliable approaches to interpreting American political campaigning manuals and techniques in an Australian context based on case studies of Australian elections. 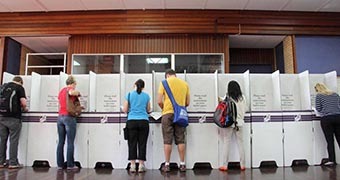 There is a widely repeated assumption that American political campaign techniques are being adopted by Australian parties, MPs and candidates. If this assumption is true it is important for academics as well as practitioners in this field to understand the limitations (if there are any) as well as the process of adaptation (if there is one). If this assumption is wrong it is important to know why it has been repeated so often and in what context. Is there strong historical evidence of American influence in Australian political campaign techniques or Australian political systems and practice? Does literature exist which explains the success, usefulness or relevance of specific American campaign techniques in Australia? Have many Australian political professionals trained in the US and have many American political consultants have worked in Australia? Are basic political strategies in Australian politics and American politics similar in style and are campaigning techniques and skills transferable between these two systems? Are Australian political messages and techniques strongly influenced by the most negative aspects of American politics and is this influence likely to diminish or increase? Why is the latest Australian campaign technology and innovation seemingly always sourced from the U.S.? Is this popular view based on media bias or fact? Are most of our basic political campaign techniques universal? Are the methods of “persuasion” used to address the growing number of “independent voters” in the US and “swinging” voters in recent Australian and NSW elections similar? Is the confluence of access to cable TV and the Internet accelerating and intensifying the influence of American political messages and techniques in Australian politics? Apart from political parties what other large organisations have brought ideas and techniques to Australia from the US, e.g. Media, International corporations, NGOs, Unions, etc. In comparison to America, are other country’s political environments and methods more or less relevant to Australia e.g. UK and NZ? There are potentially many more published comparative studies that include these examples. Some people believe that NZ and UK political techniques are much more relevant to Australian politics and the best lessons from the US are restricted to ‘marketing’ or ‘technology’ lessons. 3. The larger publishing market available to political commentators in the US ensures that the most popular political studies and books are researched, printed and distributed there. As stated earlier, the lack of similar material in Australia means that Australian campaigners searching for good campaign manuals will inevitably turn to the US and this research will help ascertain if this is wise or if some American campaign techniques are incompatible with Australian political systems, culture and practice. The author’s research methodology began with a focus on the literature review by reading any remotely relevant text and research paper. Bibliographies and online databases were searched primarily for descriptions of American campaign techniques, Australian campaign techniques and descriptions of influences in Australian political campaigning. A search was made for any comparative studies and explanations of American campaign techniques in other nations. Most of the initial leads were derived from five sources: Discussions with my supervisor Wayne Errington and supervisory panel members John Hart and Andrew Hughes, Stephen Mills’s book The new machine men: polls and persuasion in Australian politics, Sally Young’s book The Persuaders: Inside the hidden machine of political advertising (in which Mills is extensively quoted), APSA and its publications and finally, previous research at ANU, namely two thesis: Paul Zagami’s Marketing, media, money and America, (1997) and Kristine Klugman’s Democracy and the new communication technologies (1996). For the literature review I will attempt to collate and reading all the related literature that mentions Australian campaign techniques, or mentions American techniques or influences in an Australian context. That knowledge will act as a basis for critical appraisal of the best American literature on campaigning and assess how it compares to current Australian practice. 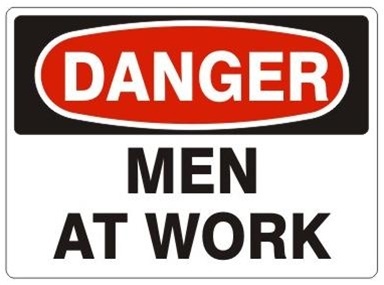 I will begin the task of the literature review using a “break and enter” and “casing the joint” techniques, to try and assess what existing academic material is relevant to this topic, after which I can utilise my professional and field experience to critically assess specific texts and use case study examples to further the argument about this subject. The thesis will evolve from interviews with experienced campaigners in Australia as well as analysis of campaign documents and books from Australia and the US. Due to the rapidly changing political landscape in Australia and the US in 2007/08, some elements of the research will change as more information about current and future campaigns becomes available. As recently as December 2008 new theses from Australian researchers are being published about the 2007 Australian federal election with particular focus on new campaign technologies and campaign techniques. Recently discovered examples include Michael Dalvean’s Targeted Election Campaigning: An Australian Case Study (2006) and Christopher Smith’s Opportunities for Engagement Between the Political Elite and the Citizenry Online: Political Party Websites in the Australian 2007 Federal Election (2008). I must state up front to anyone who may read this in the future that I am a full-time employee of the Australian Labor Party and have been a paid up Member of the ALP since 1992 and intend to be for the foreseeable future, along with all my children; So this research has a professional interest for me, as well as a personal one. That said, I have tried to refrain from being too critical of the Liberal Party, as well as being too biased towards Labor people and practices. The contents of these pages are my thoughts alone (apart from places where quotation marks and citations have been used to render the information as close as possible to the original text from which it is sourced). The views expressed and the contents collected do not represent in any shape or manner the views or policies of the Australian Labor Party or the ALP National Secretariat <where I was employed when I started this little project>. This entry was posted in Campaign History, Political Science and tagged campaign techniques, political science. I love Australia, and I have enjoyed New Zealand on two separate election-related visits. 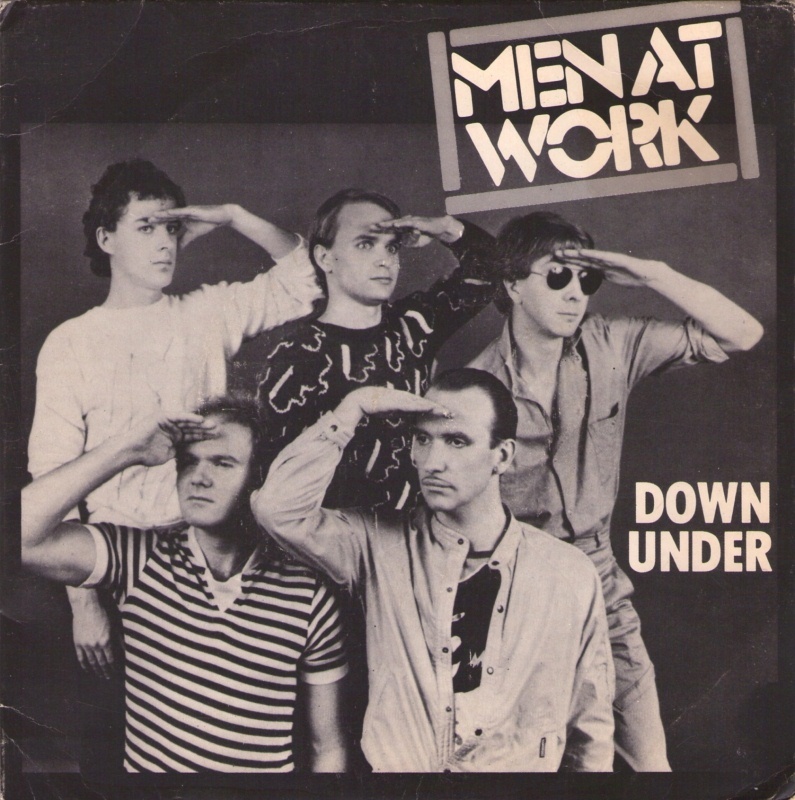 I also (being a child of the 80s) love Men At Work (and 90% of Australian 80s rock, a truly golden age of Aussie music). And she said, “Do you come from a land down under? And he said, “Oh, you come from a land down under? “Whose[N 1] is that [N 2] jumbuck you’ve got in your tucker bag? This entry was posted in Campaign Techniques and tagged anthems, at, culture, men, music, politics, work. Why Blog about election campaigning? Why am I (and a few others) blogging about campaigning in Australia and New Zealand? The purpose of that thesis (which I haven’t completed as of 2014! :) was to produce scholarly research on campaigning techniques in modern Australian politics. Since I started it (back in 2008) a lot has been written about campaigning techniques in modern Australian politics by MANY other people, including favourites such as Stephen Mills, Peter Brent, Nick Economou, Brian Costar, Sally Young, Mike Smith, John Hart, Ian McAlister, John Warhurst, Wayne Errington, Peter van Onselen and Jennifer Rayner, just to name a few! One of the reasons for this blog is the same as that original attempt at a thesis. To create a repository of collected thoughts, experiences and references for my own information and to share with like-minded individuals. Someone also pointed out to me recently (and I suspect it to be true) that more people will eventually read the blog than ever read the thesis anyway! Also this blog will prove one of the universal truths about campaigning, recently paraphrased by our PM: “No single person is the suppository of all wisdom”. 3. Smash some misinformation shared in the MSM about campaigning in Australia (mostly by sharing wisdom and sage analysis from some of the writers listed above and others). 4. try and bridge the chasm that often separates political scientists and political practitioners, mainly by sharing some of the political wisdom and analysis that is regularly done within academia but doesn’t get much coverage outside of academia. 6. Share my recently discovered joys and benefits of blogging! This entry was posted in Campaign History, Campaign Techniques, Political Science and tagged blogging, campaigning, elections, Mills, Rayner, The new machine men, thesis.